Adorable and beautifully decorated beach cottage awaits you! 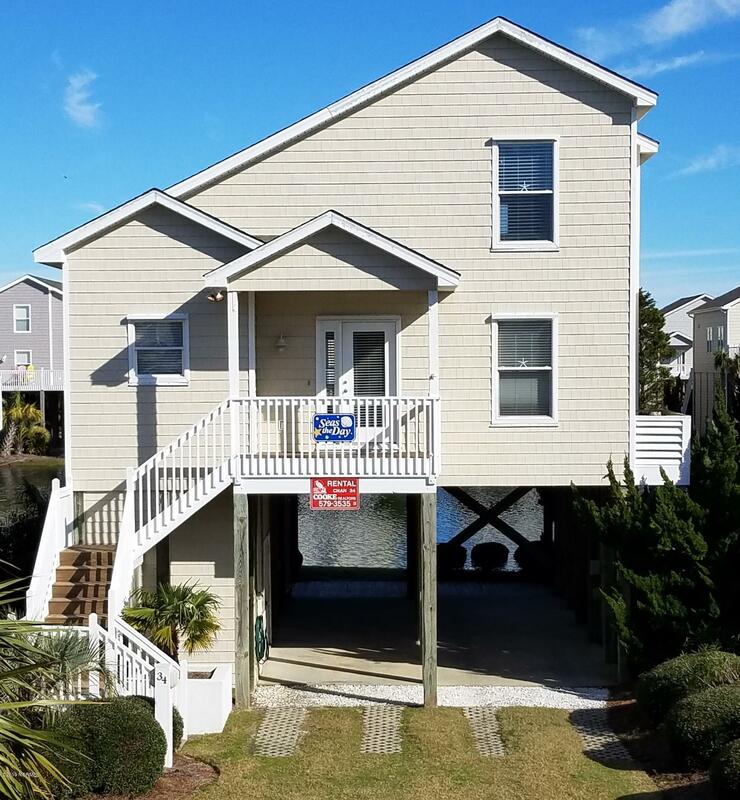 Fully furnished 4 bedroom, 3 full bathroom home featuring cathedral ceilings, great natural light an open floor plan which leads out to the large back deck overlooking the lagoon, perfect for entertaining. The kitchen features tile floors, plenty of cabinets and a pantry for storage. The open dining room, living room and bedrooms carpet were recently installed. Main level bedrooms share a bathroom, upper level bedrooms have individual bathrooms. Spacious ground floor has a storage area for beach essentials and an outside shower. This well maintained community offers 2 pools and is a short walk to the beach and restaurant.